VIRAT Kohli's first knock in Australia in four years lasted a mere 16 balls and 17 nervy minutes. He poked around for three singles before his eyes lit up when Pat Cummins pushed one slightly wider. Kohli launched into a full-blooded drive, got an outside edge that flew hard to gully. 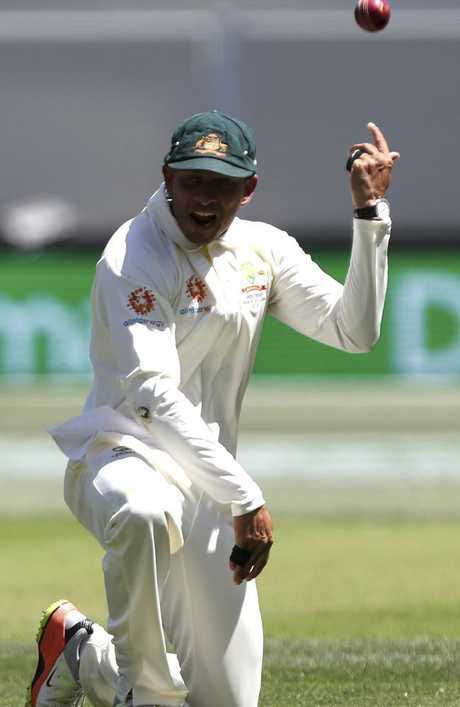 And then Usman Khawaja intervened. The Aussie star dived to his left and plucked the ball out of the air with his left hand. Kohli entered the fray much earlier than he probably anticipated after he won the toss on a pitch that looked full of runs at Adelaide Oval on Thursday. India may have been in big trouble after losing both openers cheaply but it's a situation the 30-year-old usually embraces. And added to the fact that he had scored three hundreds in four innings in Adelaide and the fans were expecting much, much more than three runs. 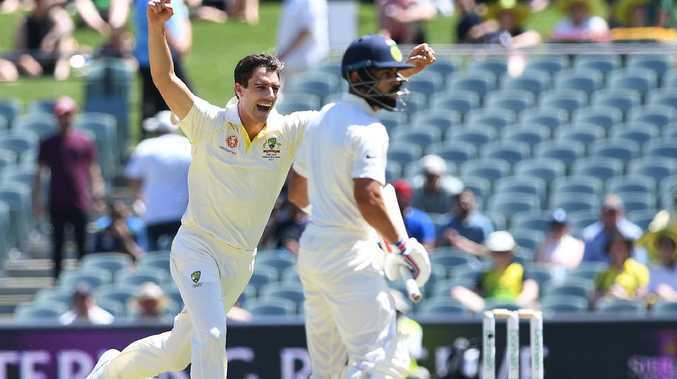 The Aussie bowlers had been toiling in 35C heat for half an hour, Mitch Starc was nearly through his opening spell, Josh Hazlewood should have been tiring. But the ball was nibbling around just enough to expose the only apparent weakness Kohli had, to balls that seamed away. Usman Khawaja pulled off a stunner to get the break through. Starc gave Kohli a short one in the final over of his first spell, and then Hazlewood did too. But it was Cummins who proved the destroyer. The last time Cummins bowled to Kohli, in Ranchi in 2017, he got him out. It only took three balls for Cummins to get him again. The king had been dethroned, at least for now.